Priced slightly higher, the Taurus is still a great value. Standard on the Taurus are a mirror, corner shelf, three-roll toilet paper holder, gender indicator sign and a slip-resistant floor. Another nice feature is the hover handle, which allows users to latch and unlatch the door without having to use their hands. They say quality is found in the details and the Taurus has more than enough added features to ensure users will be pleased with its amenities and comfort. 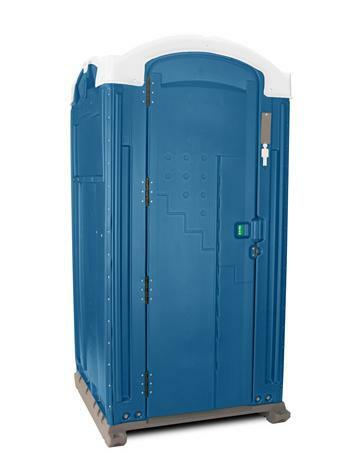 The Taurus is a large capacity restroom with an 80 gallon tank designed with a pyramid sump for better deodorizer coverage and easier pumping. For strength, the unique cap-style roof fits neatly over the side walls to form an exceptionally strong frame. The door pulls tightly shut using two enclosed springs, a feature that prevents rusting and vandalism. 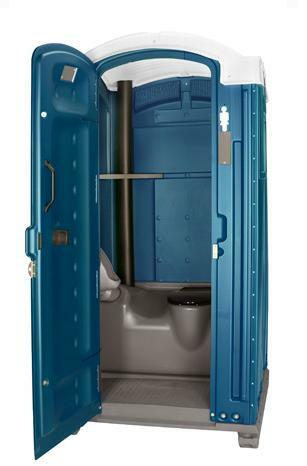 Overall, the Taurus is a high-performance restroom that requires limited repair and maintenance. Free with 12,000 ROI points.